Summer fun for your little ‘Sweetheart.’ ; Water-friendly leather upper has pretty heart cut-outs. ; Breathable leather lining and footbed. 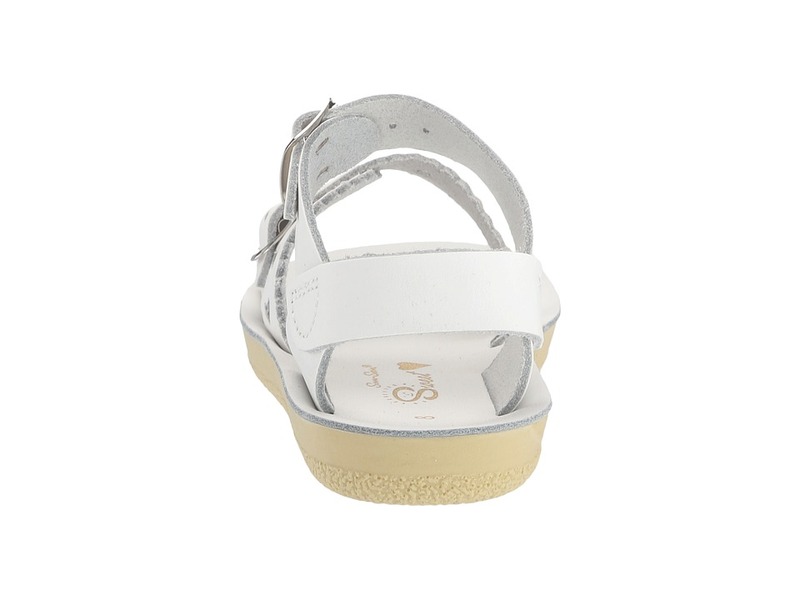 ; Two strap buckle closure ensures a secure fit. ; Brass buckles won’t rust if you get them wet. 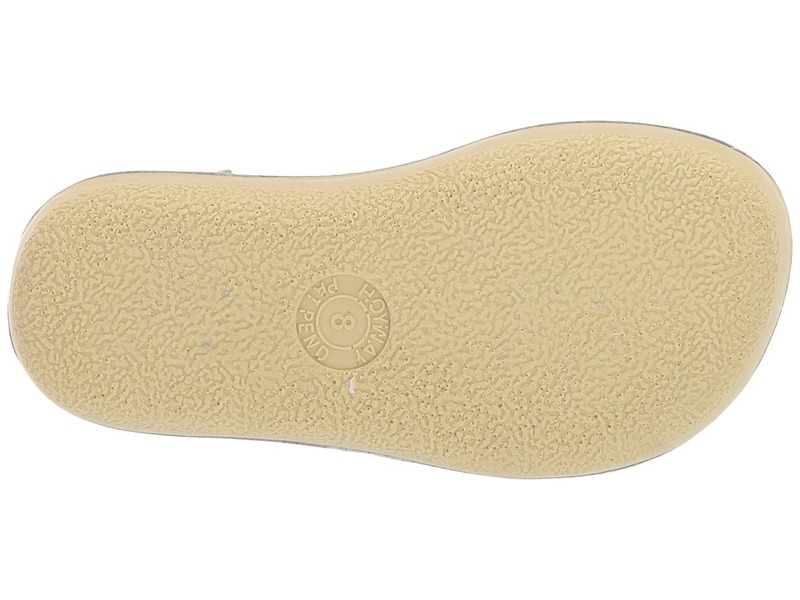 ; Lightweight and flexible outsole. Measurements: ; Heel Height: 3 4 in ; Weight: 3 oz ; Platform Height: 1 2 in ; Product measurements were taken using size 9 Toddler, width M. Please note that measurements may vary by size. Be the first to review “Salt Water Sandal by Hoy Shoes Sun-San Sweetheart Toddler Little Kid Girls Shoes” Click here to cancel reply.